As the world gets more dangerous, you have to be prepared for anything, even the worst. 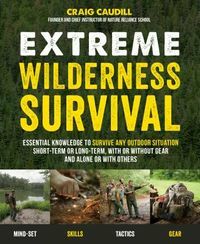 In 150 Survival Secrets, seasoned survivalist James C. Jones provides insider tips to help you and your family survive any catastrophe. 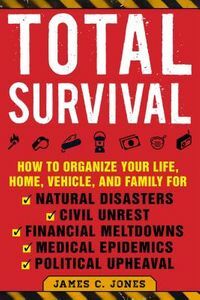 Divided into practical sections, 150 Survival Secrets answers every question you've ever had about disaster preparedness. One section lists the practical details of making it through any kind of emergency situation. Some topics include: How to survive extreme winter conditions How to put together a homemade survival kit in the case of an emergency How to safely evacuate from an urban area during a disaster How much and what type of food to store at home for long-term emergencies How to survive an active shooter situation How to treat common injuries. Other sections answer everything you've ever wondered about disaster prepping, including what being a survivalist entails, how to equip your home for survival situations, what gear is essential for a survivalist to own, what elements are essential in a good emergency plan, what types of disasters you can expect to face in your lifetime, and more. So what are you waiting for? 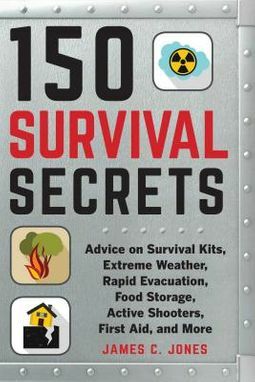 With 150 Survival Secrets, you'll be prepared for anything and everything.